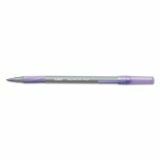 BIC Round Stic Grip Xtra Comfort Stick Ballpoint Pen, 1.2mm, Purple Ink, GY Brl, DZ - Offices and homes worldwide still enjoy the classic Bic Stic pen, a model for ballpoint pens everywhere. 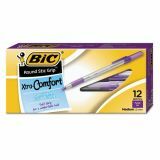 The Bic Round Stic ballpoint pen features a round lightweight barrel and a cap ventilated for safety and ink consistency. 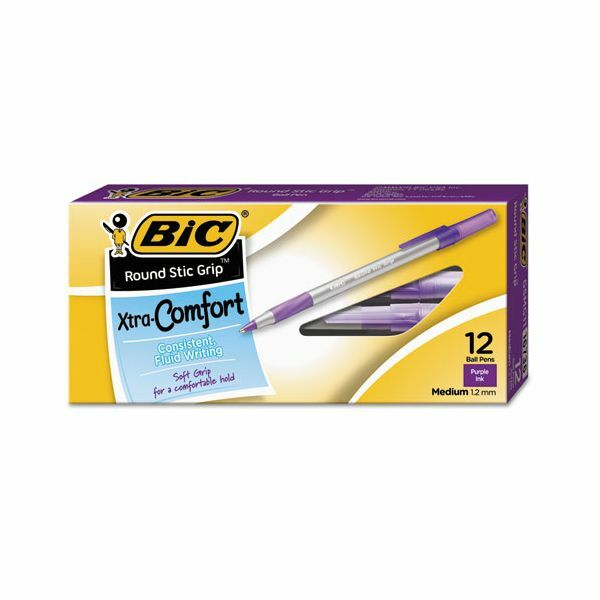 Features BIC's exclusive ink system technology. This exclusive ink technology offers 50% smoother writing and bolder ink than our traditional ballpoint ink. While other stick ballpoints fail easily, the Bic Stic is designed to last long and remain dependable. Nonrefillable.